The Visual Resources Center will be closed from Friday, August 30th through Monday, September 2nd in observance of Labor Day. We will reopen for regular hours on Tuesday, September 3rd. Enjoy your weekend and see you next week! 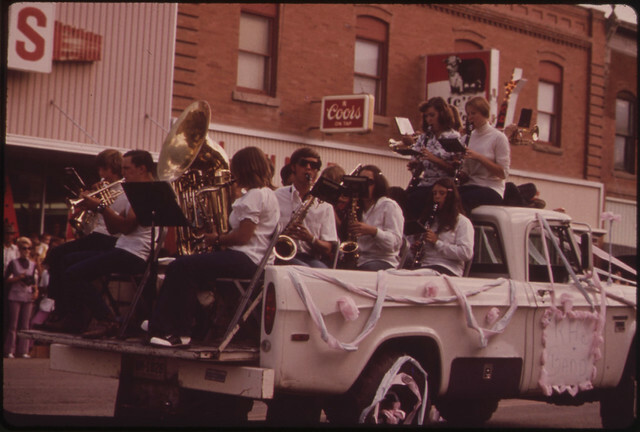 Image information: Labor Day Weekend Brings the Annual Garfield County Fair Parade, 09/1973, courtesy U.S. National Archives and Records Administration Flickr.